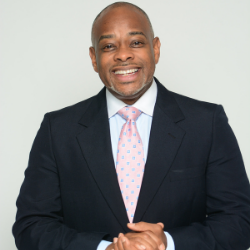 Brian Dunn is the founder and President of Best Dunn Enterprises, Inc. a professional development company focused on helping executives and teams improve on their performance in the workplace. He combines effective interviewing skills with results from standardized assessments, such as the Meyers Briggs and the Strong Campbell, to provide customized solutions for his clients. He currently serves as Program Co-Chair of the Principals Leadership Development Program for the Center for Leadership at FIU. This program is a partnership with Miami-Dade County Public Schools and the John S. and James James L. Knight Foundation. He spent 5 years with Comcast Cable in the Engineering department where he implemented Leadership Competencies for technicians, Management Training for supervisors and Succession Planning for titles above Sr. Director. While there he introduced specialized programs such as Engineer Fellows, Technical Mentoring and High Potential Leaders to recognize rising stars and afforded them pathways to advancement. Brian served as Vice President of the Principal Leadership Development Program with the NYC Leadership Academy. His team of facilitators and content designers utilized action learning and adult learning theories to increase the leadership capacity of 1,200 NYC public school principals. These concepts were cascaded throughout the Department of Education. Brian maintains an active executive coaching calendar and writes a business blog called The Meeting Coach. In 2013 he developed a goals achievement tool called PiVI-It! that he uses with his coaching clients and intends to market to small businesses. He lectures on how to survive business meetings and on achieving success through effective goals management. Brian he is considered a Psychometrician in many circles. He attended Manhattanville College where he received an MA in Psychology/Anthropology, and a BA in Economics. His extensive leadership experience and skills creating and interpreting standardized test results has allowed him to successfully work with companies in the US, Canada, Mexico, Australia and South Africa.